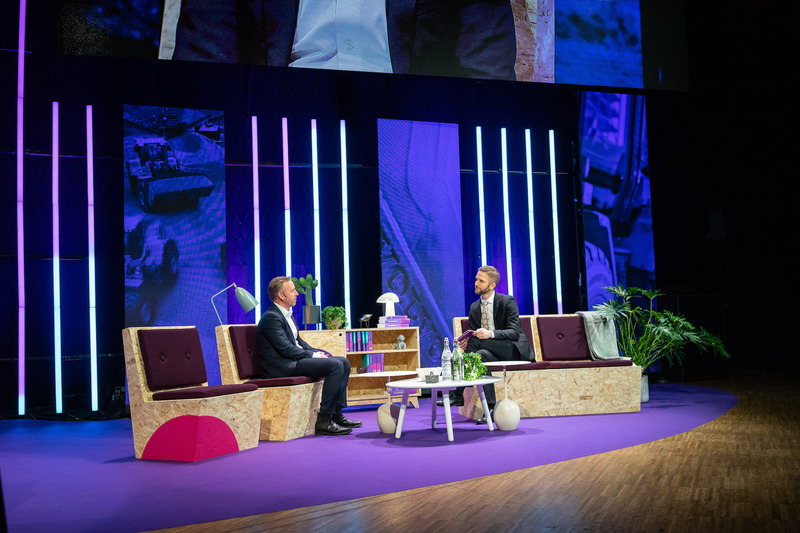 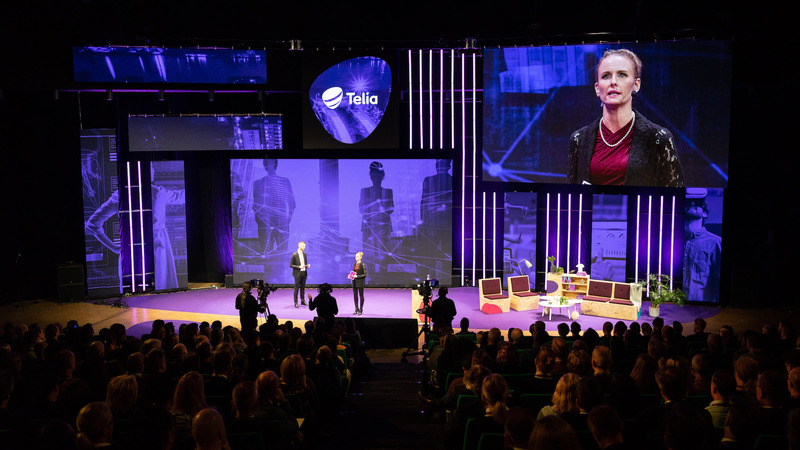 Telia Connect2Business is Telia’s largest annual event targeting business clients. 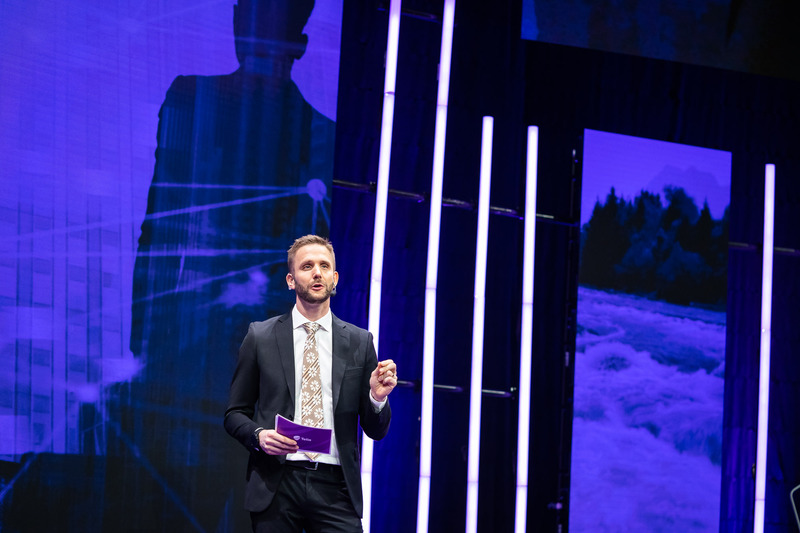 This year’s theme was Sustainable Business - How to build an information driven organization and why it matters. 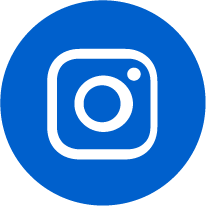 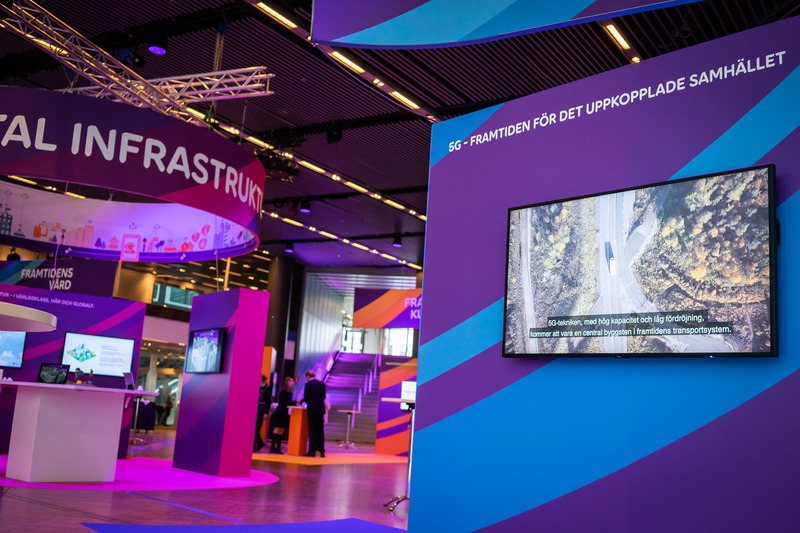 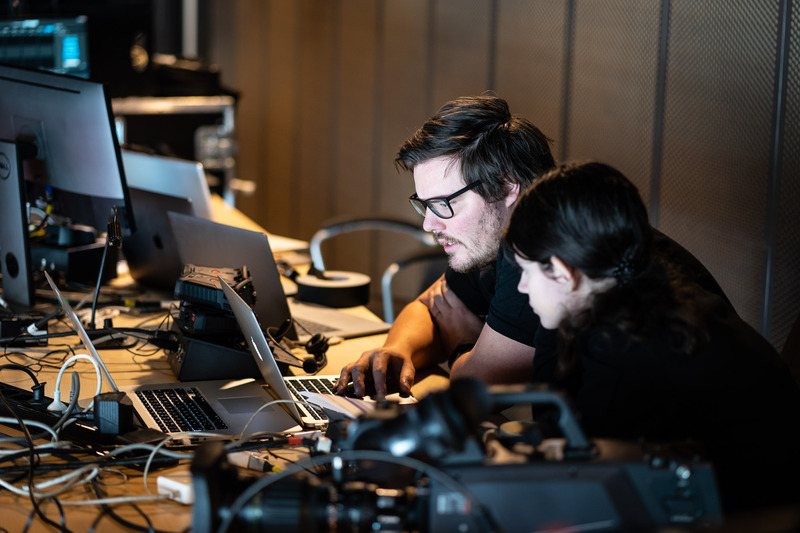 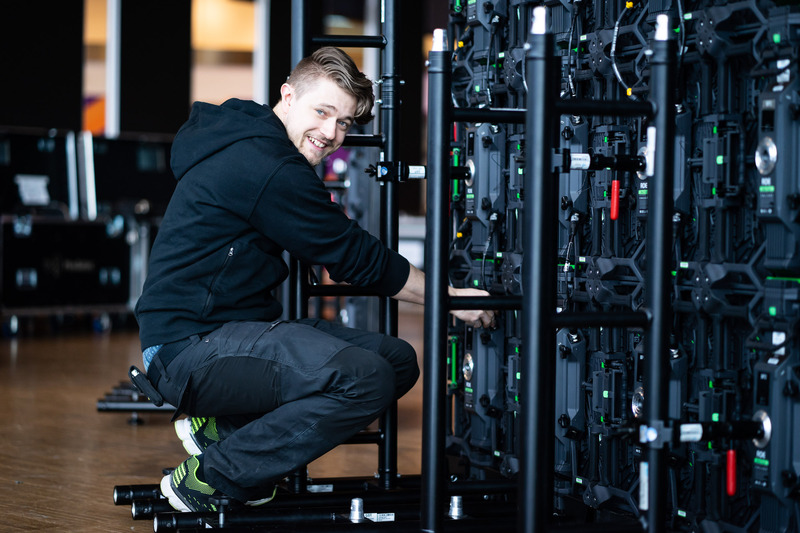 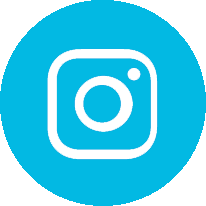 The event took place in March on Waterfront, Stockholm, and started with a live performance by Sarah Klang and the music from the recent commercial campaign, followed by a live afternoon session as well as an exhibition focusing on future IT services. 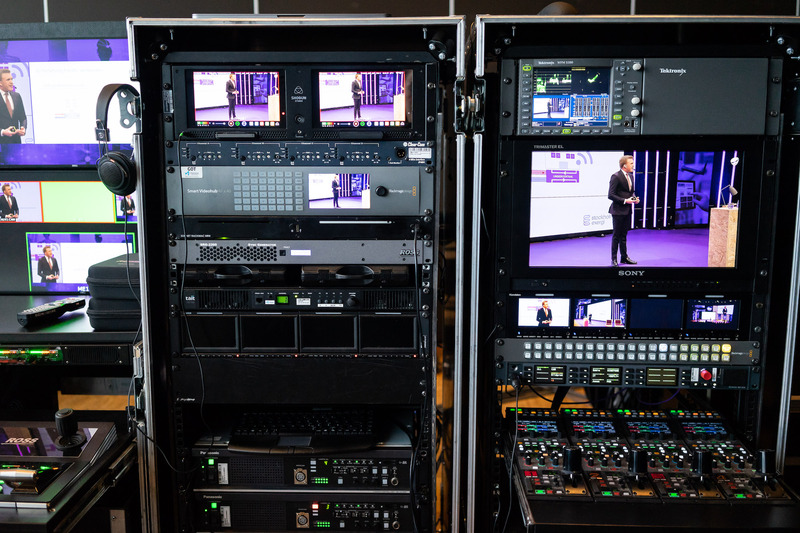 Mediatec was assigned by Humblestorm to again provide a technical turnkey solution of audio, video, light, camera and live streaming. 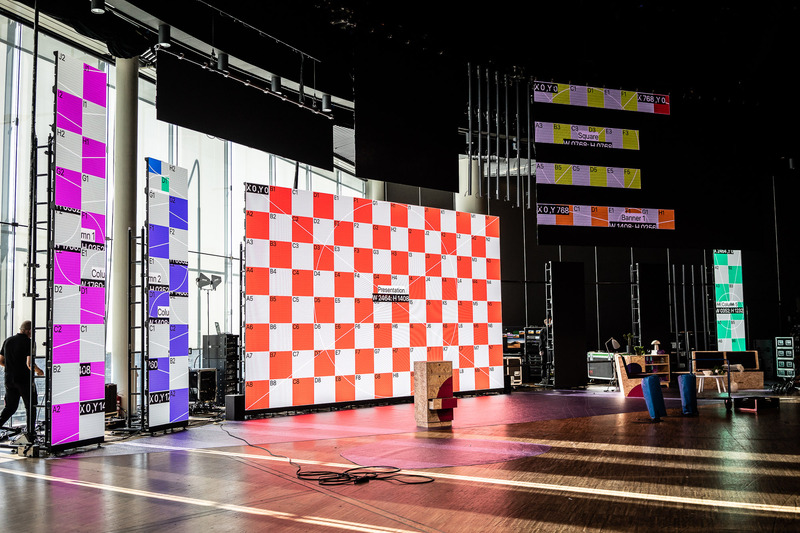 The several playfully placed LED screens of the set design contributed to the contemporary theme and at the same time provided high resolution 2.8 px pitch image areas for presentations and videos. 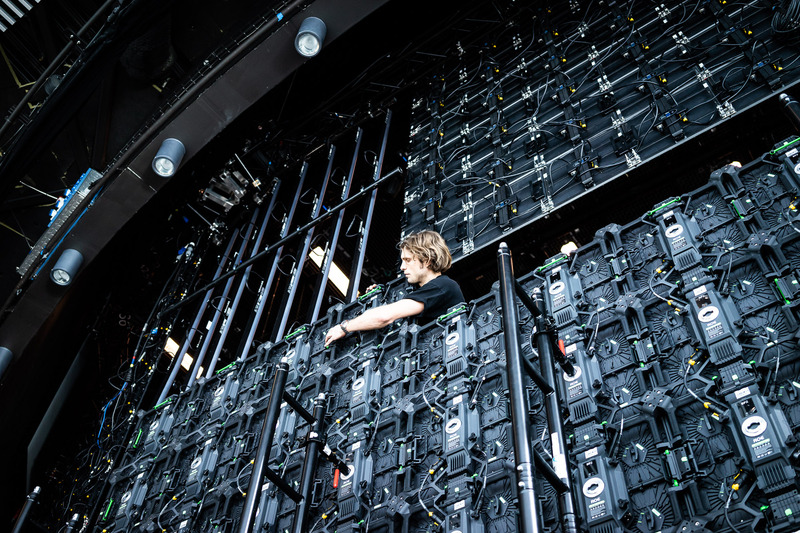 No less than 90 sqm of LED was set up altogether as well as 70 metres of “LED-sticks”, also called Sceptron. 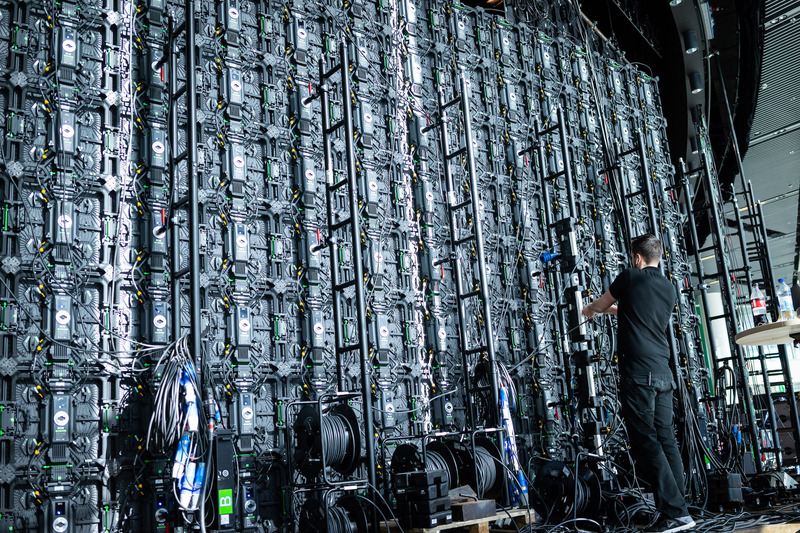 The graphic contents were powered and played out by a Watchout system together with Barco E2. 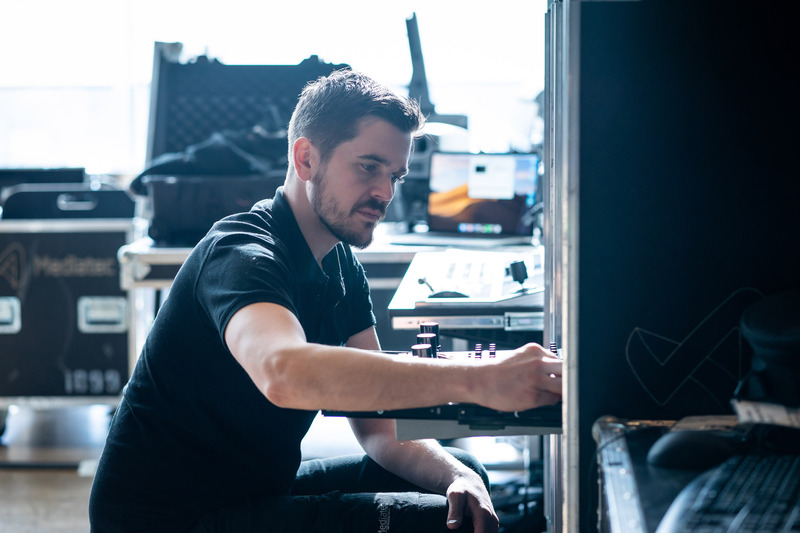 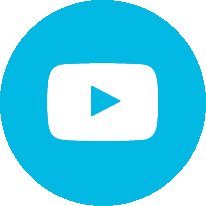 Go ahead and have a look at the behind the scenes work!